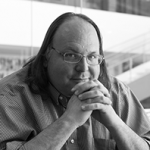 D&S advisor Ethan Zuckerman reflects on today’s political atmosphere and FDR’s speech on the four freedoms. This is a scary moment, a time where it looks like the progress we’ve made around the world might reverse, where we go from a world that’s gotten much bigger to one that shrinks. The good news is that we get to decide how big a world we want to live in. We get to decide how to speak, how to listen and how to stand together against fear.